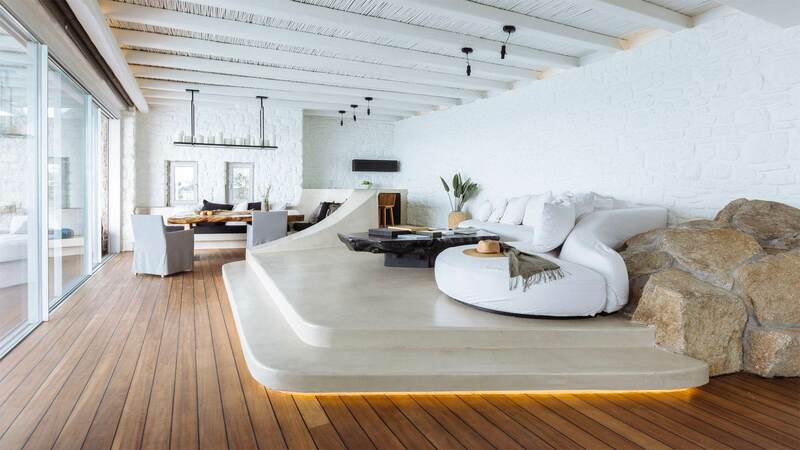 Created only to generously offer its luxurious services to its honorable guests, Cavo Tagoo Mykonos continue the successful concept in hospitality in an island that its name is inseparable with elegance and beauty. 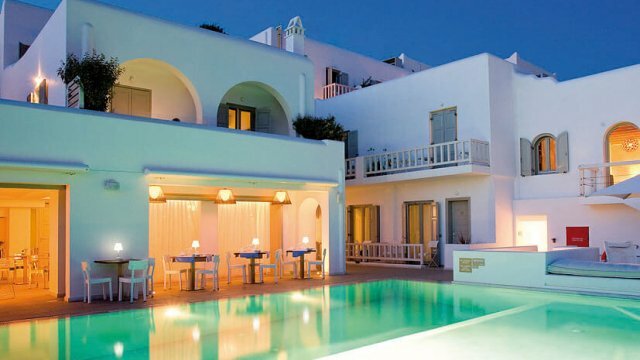 In the Tagoo area of Mykonos Chora, just some meters away from the old port, Cavo Tagoo Mykonos is continually welcome people from all over the world each year in order to make them believe that the rumors are true…yes, there is such a place in Mykonos! 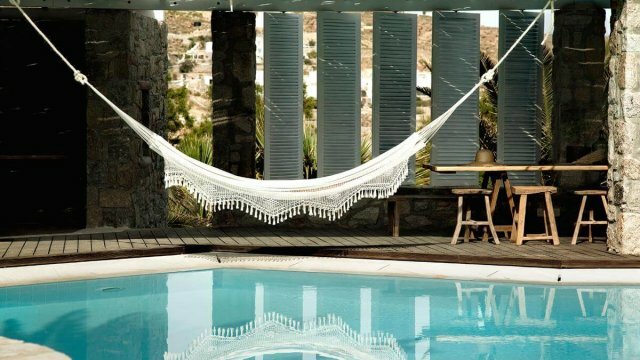 Delicate fabrics everywhere around your luxury, large suite and the sun to enter all day long bathing your room in the famous greek summer light. 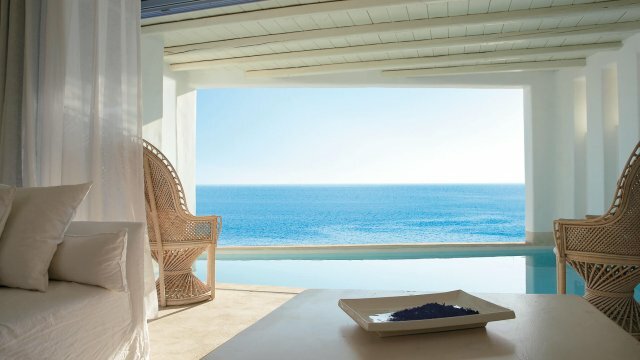 White and pale tones and the classic Cycladic blue in some details and corners and modern furniture feature comfort and a high-level prestige. You can choose from different room and suite types regarding what your needs and your mood are. Huge, innovative suites with pool at the terrace and jacuzzi or fully furnished suites to accommodate you and your family in spacious separated rooms with all the required amenities. 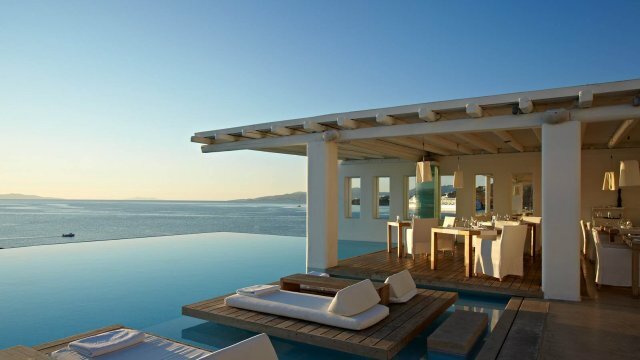 In Cavo Tagoo Mykonos is nested also the famous japanese chain restaurant Kiku. 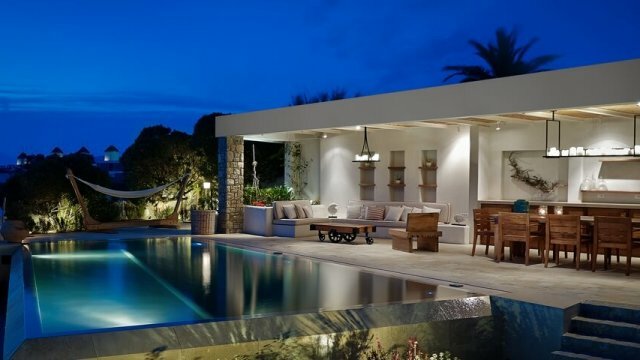 Fresh home made sushi and other delicacies from the East, Mediterranean flavors accompanied with unique wine labels next to the large pool area and overlooking the endless Aegean sea from above is composed the perfect scenery of joy and happiness. To add an extra touch to this already marvelous picture, in the hotel operates an elegant spa as well to give you relief and alleviation in an ambient space that makes all the senses awake. Feel the lavishness and the mesmerizing, rejuvenating services of the professionals and indulge to essential aromas and massage treatments.